With Shanghai's premier F1 race approaching, here's a look at restaurants which celebrate the need for speed while serving up delicious dishes. The 2019 F1 Chinese Grand Prix is just around the corner, and the city is ready to embrace the speed and passion of auto racing once again. 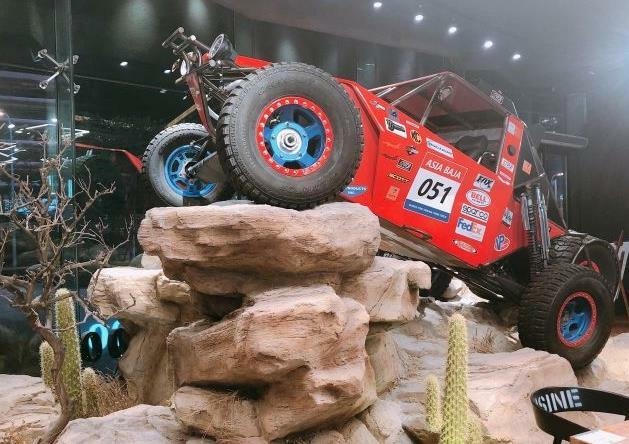 One way to experience the spirit of the sport is by visiting Shanghai's popular automotive-themed restaurants. For gear heads and foodies alike, here’s a look at some of the city's coolest car and motorcycle-inspired eateries. 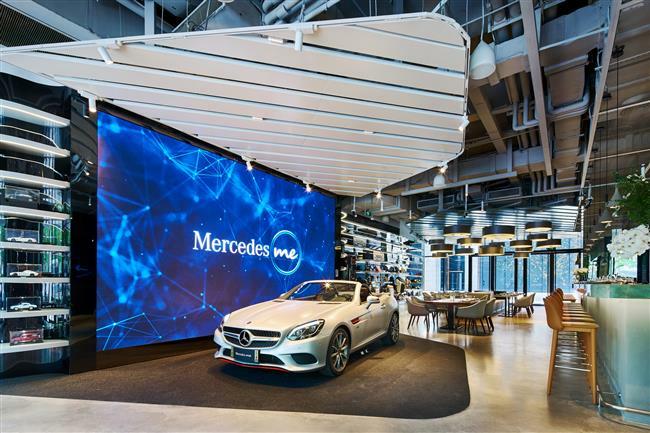 Mercedes-Benz opened its lifestyle concept venue, Mercedes me, last year in the Bund finance center. The location is the sevenths of its kind in the world and the second in China. 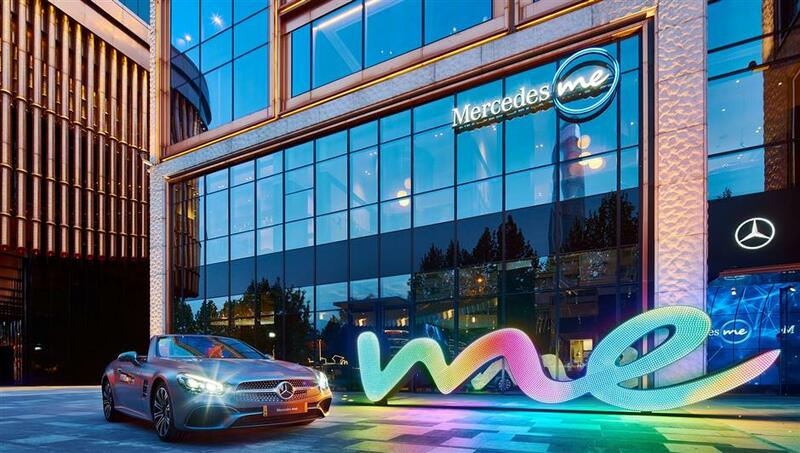 Creative, energetic and luxurious, Mercedes me aims to offer a space for visitors to explore the brand as well as relax and have some fun with a mix of retail, test-driving and dining. Of course, the latest Mercedes-Benz models are on display as well. The Shanghai branch hosts two restaurants, modern Western restaurant M.E on the first floor and upscale Chinese restaurant SiFangSanChuan on the second. M.E offers a classic menu of steaks, seafood, pasta and more. 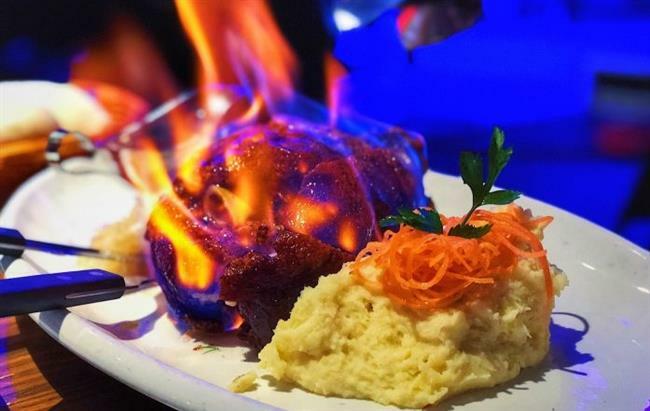 A special dessert is the Surprise M.E, which is shaped like a bomb, complete with a sizzling fuse. Inside the spherical dessert there’s a mixture of avocado, coconut and a bit of alcohol. 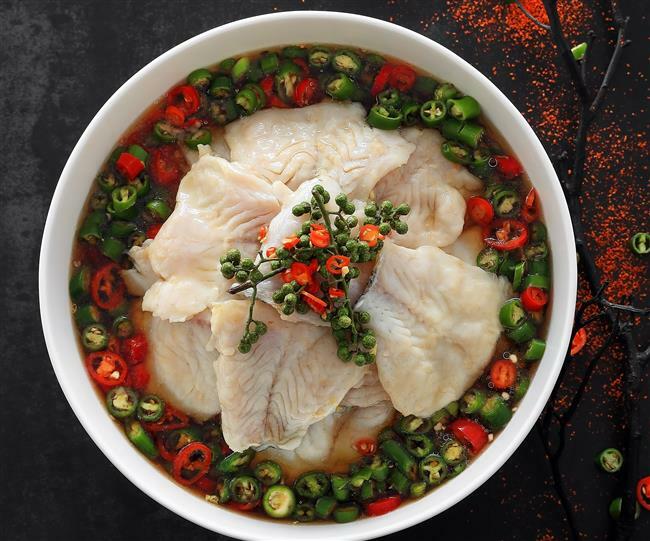 Meanwhile, SiFangSanChuan serves a mix of Chinese dishes from different cuisines, such as Peking duck, green peppercorn fish, spicy chaoshou (a kind of Sichuan-style wonton) and Shanghai-style xunyu (freshwater fish that’s fried and then braised in a sweet sauce). 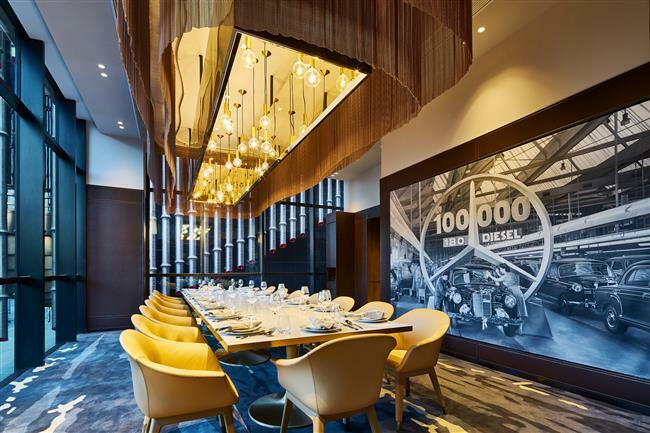 1886 is a popular car-themed German restaurant franchise in Shanghai that currently runs four locations. Each location features car and motorcycle decor to create an unbeatable atmosphere. 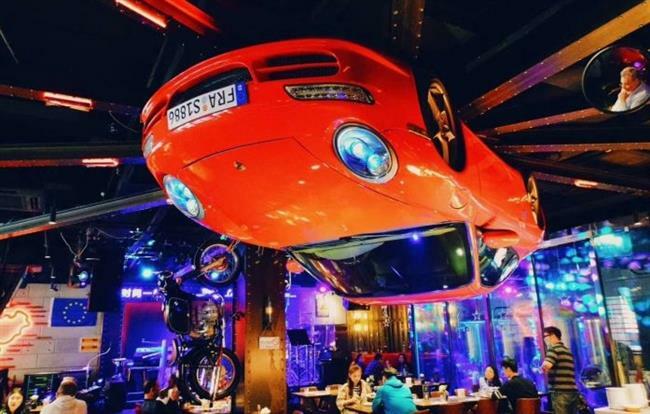 The restaurant on the Bund is especially eye-catching as there’s a rotating car hanging upside down in the center of the restaurant. There are also live performances in the evening to further elevate the experience. As for the food, 1886 serves traditional German fare like sausages, pork knuckle, pork short ribs and craft beers. A buffet lunch is available on weekdays. 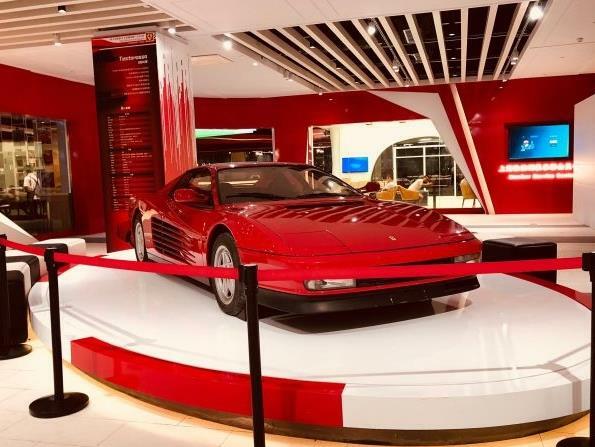 While most themed restaurants emphasize the cultural aspects of motoring, Corsa in Jiading New Town offers a real racing experience. The space, decorated with a real Ferrari out front, Ferrari themed displays, merchandises and photos, has its own karting circuit where guests can take a spin before sitting down to eat. Both adults and children can take part in the karting, although the cars are relatively small. For safety concerns, children under the height of 1.2 meters have to be accompanied by staff. Karting is 88 yuan per person per session. Day, month and year passes are also available. In addition, they also have VR racing games priced at 38 yuan per spin. As for dining, Corsa offers a casual, Western-style menu of salads, pasta, steaks and soups that are great for sharing. Popular items include garlic Boston lobster pasta, pumpkin cream soup, French lamb chops and cheesecakes. A free karting session is offered when guests spend more than 150 yuan on dining. This cross-country themed restaurant has an upbeat atmosphere with lots of interesting decorations related to racing and motoring. There are even several race cars on display. 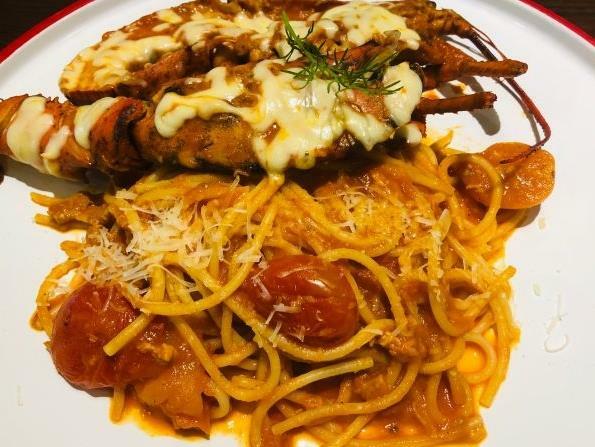 Asia Baja’s menu features soups, salads, burgers, pasta and risotto. 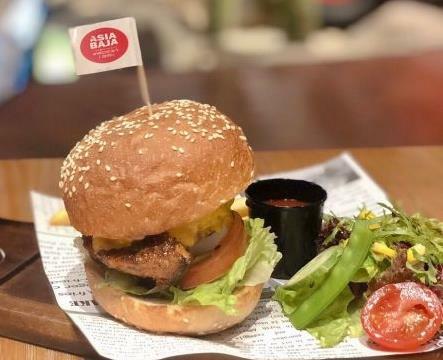 Portion sizes are large, and recommended dishes include beef (or chicken) quesadilla, BBQ beef burger, fillet mignon with mashed potato and milk shakes. The family-oriented restaurant also offers a kid’s menu that includes pasta, fries, veggies and fruits and juice. What do you drink when you're not drinking?